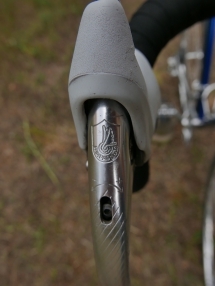 I prepared and rode a French aluminium Vitus 979 during the 2016 L’Eroica Hispania. 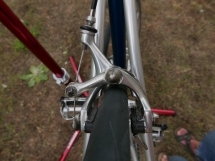 The bike performed well, there was no technical problem at all, not even a flat tyre. 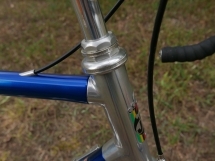 The bike was comfortable, I did not experience any of the reported excessive flex in the frame but I did notice some flex in the aluminium front fork during braking. 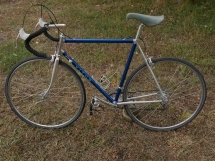 The bike feels light compared to the vintage steel bikes. 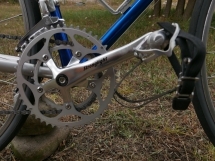 The gearing I prepared, with a compact crankset, allowed for a lowest gear of 34 x 28 and this made 100% of the L’Eroica Hispania intermediate route cyclable. 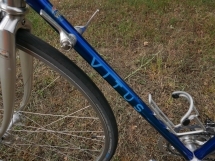 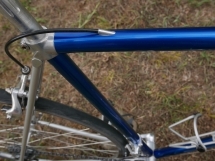 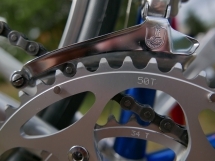 The Vitus 979 was the lightest production road bike frame available in the late 1980’s. 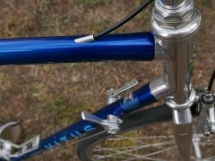 Duralinox 5083 aluminum-magnesium alloy tubes are glued in lugs, a bottom bracket, a fork crown, drop-outs and a rear brake bridge, all made of aluminium. 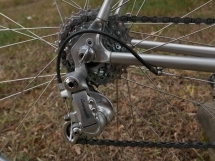 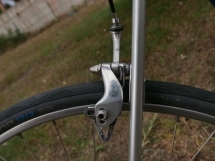 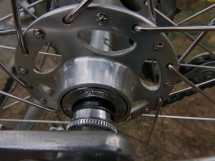 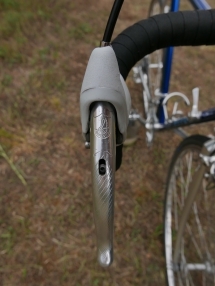 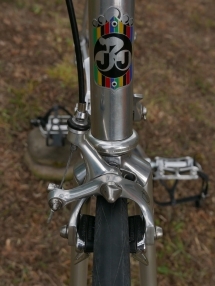 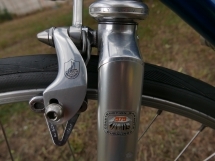 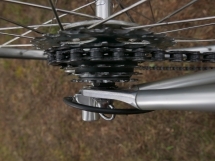 Also the front fork is made of Duralinox aluminium. 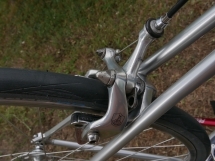 My bike is just below 10 kg. 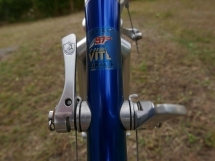 The Vitus 979 is part of cycling history, the Irish cyclist Sean Kelly won many races on the Vitus 979. 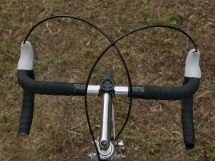 Read about it on the Velominati webpage “Anatomy of a photo: Sean Kelly 1988“.